For the past few weeks, I’ve been searching for images to use in the bayou book—combing the digital holdings of the Library of Congress, the Louisiana Digital Library, the New Orleans Public Library and about a billion other institutions, not to mention desperately attempting to track down details about unattached (but often wonderful!) historic images on Wikimedia Commons and personal blogs. In my travels, I came across a heap of digitized WPA photographs at the NOPL. The photos cover a huge variety of WPA projects unfolding all over the city in the 1930s and 40s, and many of them are fairly mundane—but a seemingly equal number are totally fascinating. 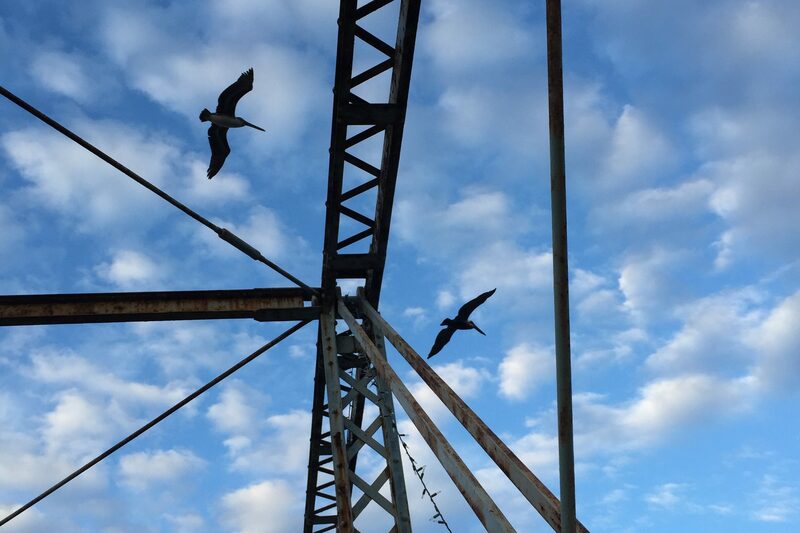 I hope everyone will forgive me if I stray a bit from the bayou in this week’s post…. The photos took me on an adventure, and I couldn’t resist! I clicked around, and decided to present some gems I found—of women and children in particular. I love how tangible this photo feels—those slats, the piles of fabric, the aprons! I know, right?! Who is this amazing woman! To whom is she calling?! So it turns out “archaeoconchology,” when entered into the Google search bar, turns up a grand total of 9 (obscure) entries. One hesitates to say it’s not a real word…. The only quasi definition I was able to turn up said it was a branch of archaeozoology. Basically, someone was collecting some sea shells, perhaps studying them, and otherwise having this woman in her amazing dress pose with them. The following description confirms what you think you’re seeing: “Harmonica class at Robert C. Davey School, 1307 Dryades Street. 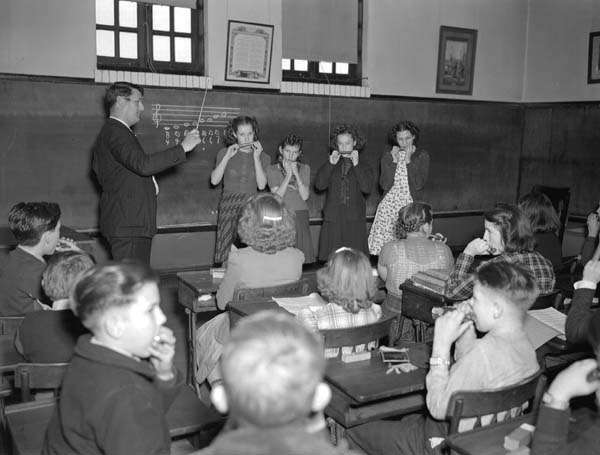 Jimmy Dillon, 14, 1621 Dryades; Rita Van Court, 13, 1824 Terpsichore; Gladys Luc, 13, 908 Howard; Anna Paladino, 15, 1400 Baronne.” Why aren’t harmonica lessons a part of music class in public schools nowadays?! Practicing my scales with my classmates at the front of the room, with that wand waving about in front of me—what could be better?! What’s also wonderful is we have names and addresses for some of the students. If any readers recognize grandparents or addresses, please comment! Next post, it’s back to the bayou—I promise! 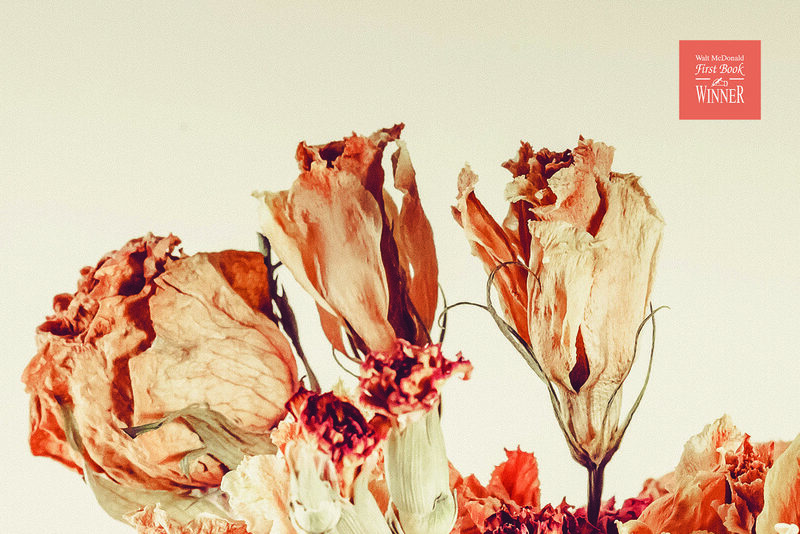 But I seriously recommend clicking around this collection at the NOPL in the meantime. All photos from WPA Photograph Collection, Louisiana Division, New Orleans Public Library. 1. 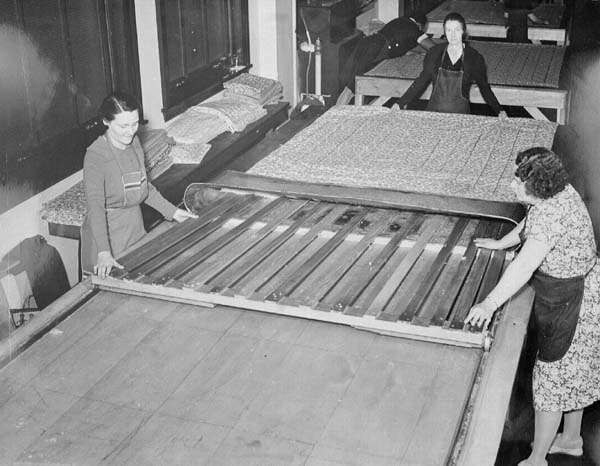 Mattresses, 27.03 “Matress Making Project,” 6/12/1941, #10. 2 & 3. 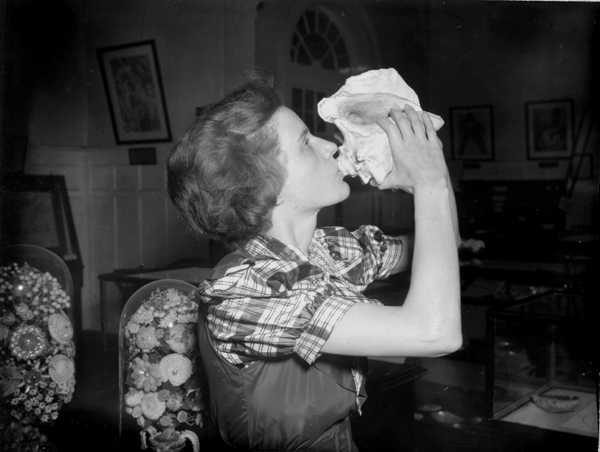 Archaeoconchology, 04.02 , “Shell Project Story at the Louisiana State Museum,” 9/29/1937, #7 & #8. 4. 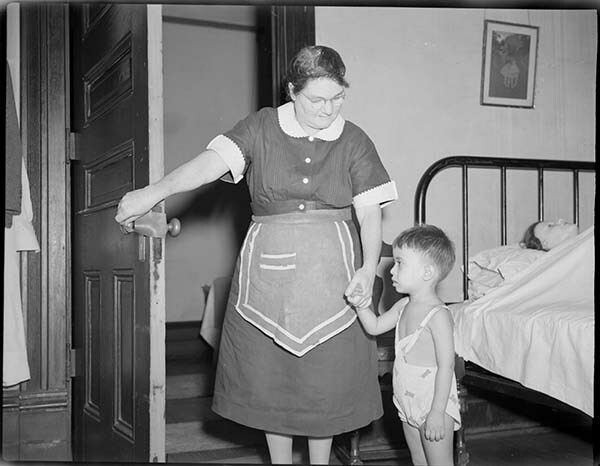 Household Aide, 22.01, 9/18/1940, #10. 5. Music, 30.07, “Federal Music Project,” 1/10/1940, #1.